Bill Bryson is the prolific, hilarious mind behind such cherished classics as A Walk in the Woods and A Short History of Nearly Everything. 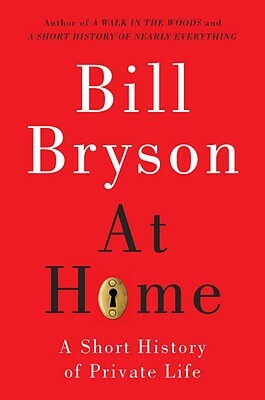 On Monday, October 24th at 7;00pm, Bill Bryson will discuss At Home: A Short History of Private Life ($15.95 paperback) at Dominican University of California (Angelico Hall) in San Rafael, California. Please join us at this special Book Passage sponsored event. More info and tickets here. In At Home, Bryson takes readers on a room-by-room tour through his own house, using each room as a jumping off point into the vast history of the domestic artifacts we take for granted. Book Passage contributing blogger Zack Ruskin spoke with Bryson about his newest book. Their conversation follows. Bill Bryson: I was struck by how little I knew about the history of the objects that surround us in our daily lives and thought it might be interesting to look into all the things we take for granted -- the things most immediately around us. Bill Bryson: What surprised me most was how long it took us, as beings, to get comfortable. You would think that comfort is something we would naturally strive for, but actually for most of history most people -- even well off people -- lived in conditions that were cold and damp and woefully ill-lit. As I say in the book, the history of private life is really a history of getting comfortable slowly. Bill Bryson: I suppose so, but in that sense all books are a journey of some sort, aren't they? The main difference between this one and my travel books is that not once in At Home do I get drunk and make a fool of myself. Zack Ruskin: I want to thank you for your Bryson's Dictionary for Writers and Editors. I keep in on my writing desk and consult it more often than I care to admit. What was your initial intention with that book? Were you seeing writers and editors make egregious mistakes, and wanting to straighten them out? Bill Bryson: It is the hardest thing in the world, and I can tell you it doesn't get any easier. I don't have any special trick, I'm afraid. It's just a question of sitting down at a keyboard and making your fingers move. 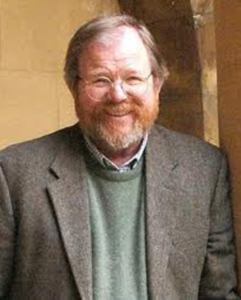 Bill Bryson: I love the way the meanings of words change and slosh about over time. The example that spring to mind for me is toilet. Originally it was a piece of linen fabric, then it became a ladies' dressing table, then the act of dressing, then the dressing room itself, then any small private room. The result is that today toilet has lots of meanings that range from lavatorial to fragrant -- which is why there is a world of difference between "toilet" and "toiletries."